iBall has launched its latest Wi-Fi only Android tablet dubbed Slide Q40i. It is one of the few tablet in market that come with FM radio feature. The price tag associated is Rs.4,999. Specification feature, 7-inch display with pixel resolution of 1024 * 600. Android Kitkat v4.4 will be running OS platform and has been powered with Quadcore processor with clock rate of 1.3-GHz coupled with 512 MB of RAM. It packs 8 GB inbuilt storage on board which can be further expanded to 32 GB via. microSD card. Connectivity includes, Wi-Fi, microUSB, FM with Antenna and USB OTG. 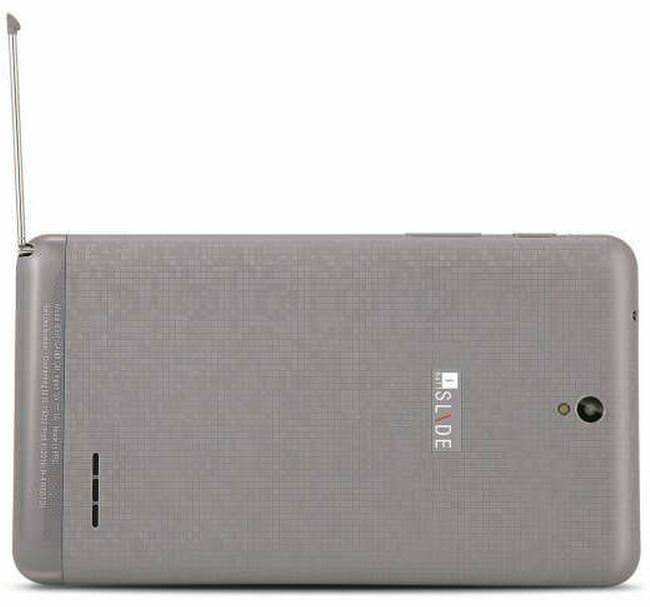 It features 2 MP rear camera with led flash and 0.3 MP camera at front. It has been backed by non-removable battery of 2500 mAh. Last week iBall has launched two convertible windows tablet PC, iBall Slide WQ149i and iBall Slide WQ149R with price tag of Rs.18,499 and Rs.19,999 respectively. Slide WQ149R comes out-of-the-box with 3G connectivity in addition to Wi-Fi while Slide WQ149i offers only Wi-Fi.